Two individuals representing Tibet are participating in the COP20 UN Climate Change Conference in Lima, Peru. The conference will give the representatives a valuable opportunity to raise the harmful effects that climate change threatens for the environment of Tibet, alongside the destructive mining taking place on Tibetan land, pollution of Tibetan rivers and the forceful expulsion of Tibetan nomads. Two Tibetan representatives are currently attending the ongoing UN Climate Change Conference in Peru to raise environmental issues such as the impact of climate change on the Tibetan Plateau. Zamlha Tempa Gyaltsen, an environmental research fellow at the Tibet Policy Institute and Dorji Kyi, an environmental activist of Tibetan Women's Association are participating at the ongoing UN Climate Change Conference, known as the Conference of the Parties or COP20 in Lima, Peru. The COP20 was organised by the UNFCCC and hosted by the Government of Peru; it is being held from 1 to 12 December . More than one thousand government delegates, researchers, activists and scientists from around 190 countries are participating in the conference. Tibetan representatives have participated in the past UN Climate conferences such as 2009 COP15 in Copenhagen, Denmark; 2011 COP17 in Durban, South Africa; 2012 COP 18 in Doha, Qatar; 2012 Rio+20 Earth Summit in Brazil and 2013 COP19 in Warsaw, Poland. The two Tibetan representatives are attending the conference to raise social-environmental issues such as the impact of climate change on the Tibetan landscape, the forceful removal of Tibetan nomads, polluting and damming of Tibetan rivers, the impact of destructive mining in Tibet under Chinese rule, and the global significance of the Tibetan Plateau. The COP is the biggest environmental conference organised by the UN to specifically deal with the impacts of climate change and help find solutions to mitigate future burdens. Next year or the COP21 will be held in Paris where they anticipate to sign some of the most important agreements. According to recent media reports, Tibet is facing a double-whammy of disasters and also getting warmer and wetter, just as rampant population growth is creating pollution problems. The combination threatens to destroy fragile ecosystems and disrupt life for billions of people across Asia. 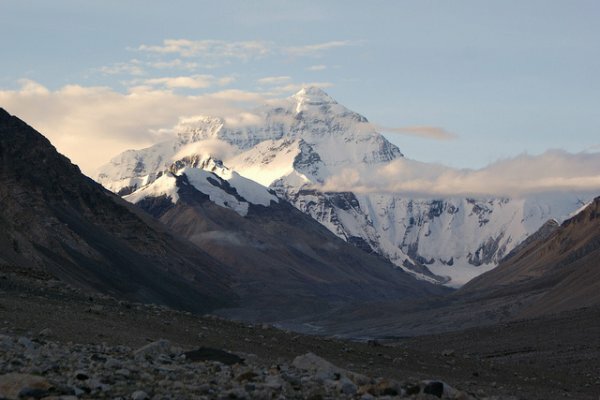 Researchers found that around the 15,000-foot-high Tibetan Plateau, average temperatures have soared by 0.4 degrees Celsius (.72 degrees Fahrenheit) per decade (twice the average of the warming globe), while precipitation has risen by 12 percent since 1960.